Our consultants are ready to review your website design & its marketing challenges while providing tips to help you increase traffic, drive leads and increase overall revenue. A complete and thorough Free Website Analysis & Report to help improve your online presence. 3 Created utilizes its own proprietary optimization tools and analytic data to analyze your website. This analysis tool will allow us to analyze your website and generate a 50 point audit sorted by category (structure, design, content, social media and presence). The free website analysis report will show and detail more than 50 criteria based guidelines for your website based on the optimization of your server’s HTML coding, written content, rich image and multimedia content, internal and external back-links plus domain and page popularity. 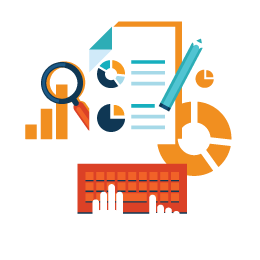 This Free website consultation analysis & report provides you with the tools to see issues but also check the performance of your site and improve the visibility of the website for search engines. We help find the issues and deficiencies to improve your website and overall online presence. Complete the FREE Website Analysis box below and we will perform an intensive audit of your site and contact you inside 24 hours for a Free analysis Consultation & report. Amid the consultation, we will go over the steps that can expand your site traffic, changes and conversion. We will likewise issue you a diagram of how our marketing strategies can support your web search rankings for top phrases. Moreover, you’ll get particular web promoting tips identified within your industry. Our free analysis consultation & report accompanies NO commitment to contract us!